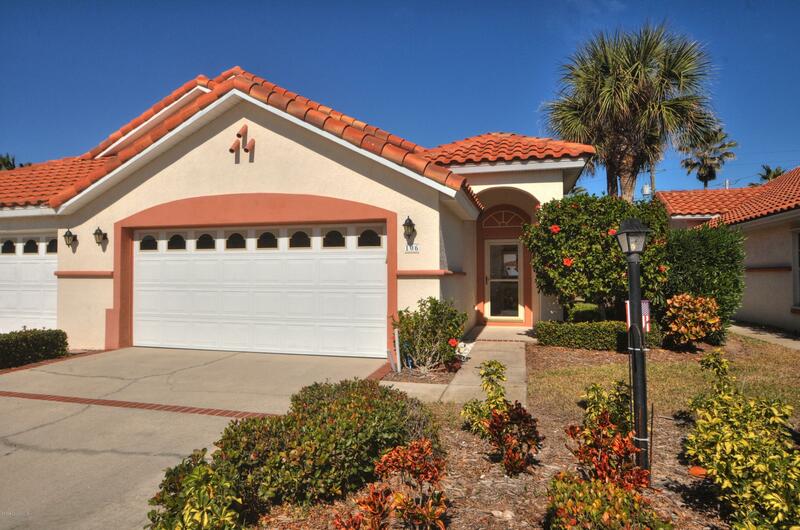 Beachside living at it's best in quaint Melbourne Beach, FL! Gated South Shores community boasts a one story 1/2 duplex. 3/2 with a 2 car garage, lanai and patio. Community pool, clay tennis courts, beach access, fishing pier. The HOA takes care of it and the mowing/trimming! Fully applianced kitchen, fully furnished unit, ready to move into. Just steps to the beach to surf, walk, sunbath, swim, watch the dolphins, fish at the beach or pier. Watch the sunset over the river or the sunrise over the ocean. Golf is 10 mins. away, 25 mins. to Melbourne Airport and an hour and 20 mins. to Orlando International Airport and Disney attractions. Newer hot water heater and AC unit replaced 11/2017. Termite bond in place and hurricane shutters for entire home.